It is important to note that PCI regulations apply to ALL merchants, regardless of size or number of transactions that accept, transmit or store any cardholder data so it is critical that your equipment is certified. 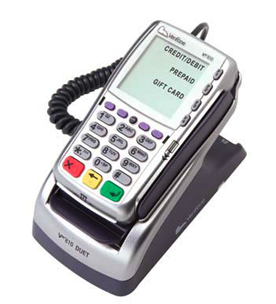 And, with National Debit Card Network, there’s no need to worry about programming. We make getting up and running quick and easy with our free training and set-up for all new merchant accounts as well as round-the-clock world class technical support.